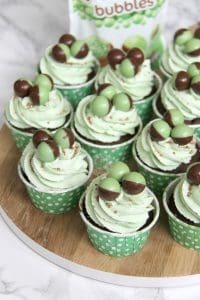 Minty & Delicious Chocolate Chip Cupcakes, topped with a Mint Buttercream and Mint Aero Bubbles make seriously yummy Mint Chocolate Cupcakes! 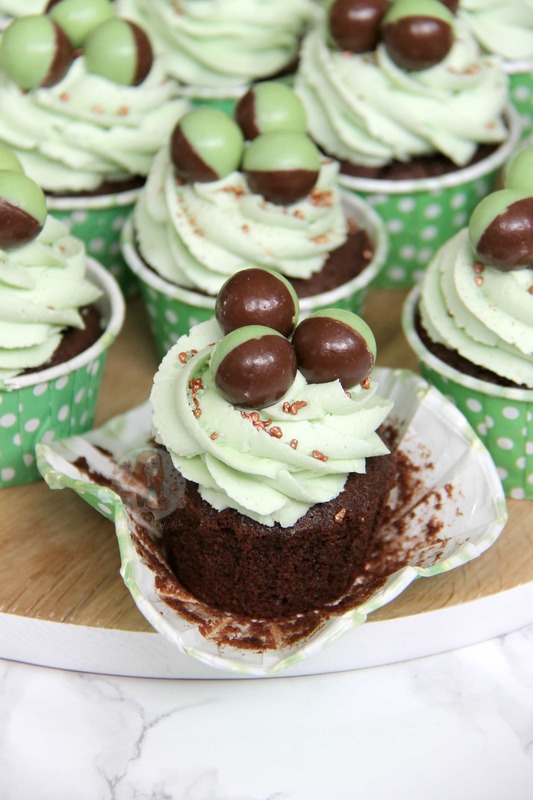 I have aaaaalways loved Chocolate, and Cupcakes, and Minty things… so this combination seemed perfect. And it definitely was! I love using Mint in Buttercream and in Sponge mixes as it makes it a subtle yet perfect amount of flavour.. and the extra crunch almost of the chocolate chips is seriously delicious. 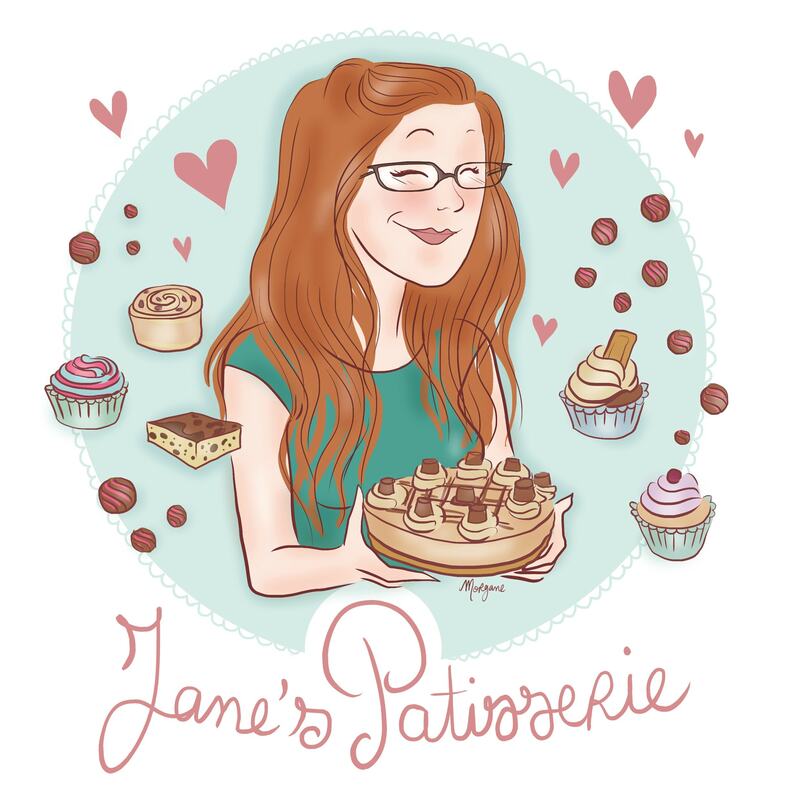 This is another request made by my Facebook followers, and I am so glad that it was asked for – I lovelovelove these cupcakes and I hope they go down well with you guys too! Cupcakes are those treats that satisfy my need for cake perfectly. 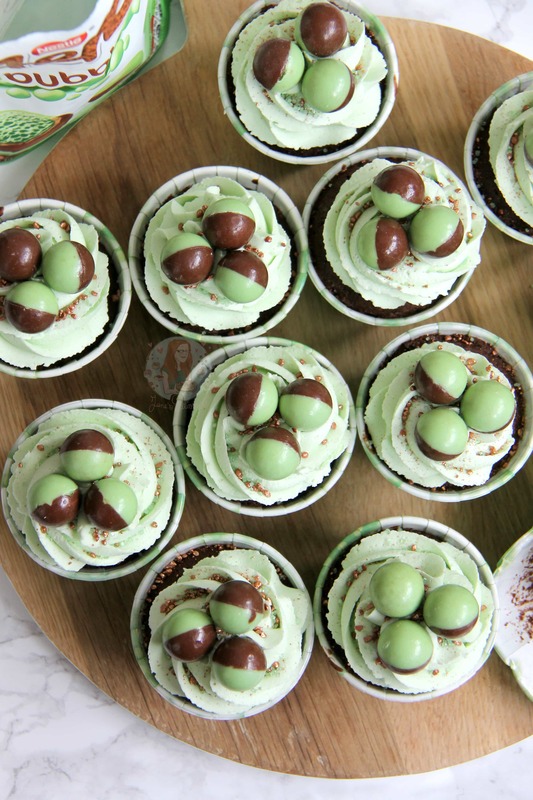 I admit that Mint & Chocolate is more of a Christmassy combination, but I like this sort of thing anytime of the year – just because its July doesn’t mean you can’t enjoy something Christmas like! The minty success of my Mint Slice means I have to do another Minty recipe! And anyway, somebody asks for a recipe, I have to comply right?! Right? Recipe updated May 2017! Only difference is using Light Brown Sugar in the sponge, dark chocolate chips, and changing the decoration ever so slightly! 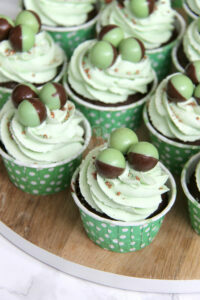 1) For the Cupcakes – Preheat your oven to 180C/160C Fan and line a tray with 12 Regular Baking Cups from Iced Jems. 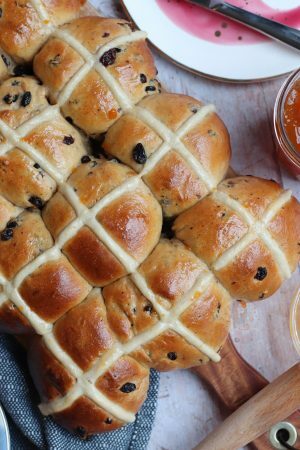 2) With a stand mixer, beat together the butter and sugar until light and fluffy – I do this for 3-4 minutes so its super smooth and light – this makes it a moist recipe, and very light too! 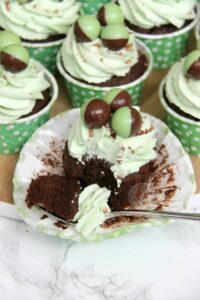 3) Add the self-raising flour, cocoa powder, eggs, peppermint essence and vanilla extract and beat again – try not to over-mix however as it’ll make the cupcakes not so light & fluffy. 4) Fold through the chocolate chips and pour into the Cupcake Cases (I use an ice cream scoop so its even across all of the cupcakes!) Bake in the oven for 15-20 minutes until cooked through! Once baked leave to cool. 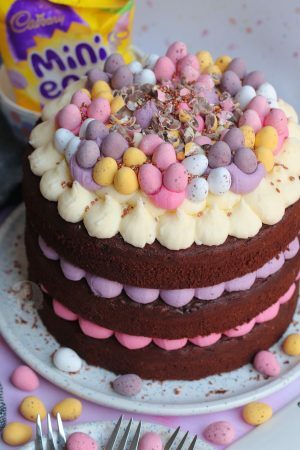 5) For the Buttercream – Beat the icing sugar until smooth and supple for 3-4 minutes, gradually add the icing sugar until a buttercream is formed. Add the peppermint essence & green food colouring to the colour you want and beat for at least 5-8 minutes or so until its smooth and fluffy! 6) To Decorate the Cupcakes – Pipe onto your cupcakes with your favourite nozzle – I used a 2d Closed Star Piping Tip – definitely one of my favourites! 7) Add on some Mint Aero Bubbles, and some of your favourite sprinkles! I used Green Progel Colouring for my food colouring. I used Regular Baking Cups from Iced Jems for my baking cases! I used a 2d Closed Star Piping Tip for the decorating! These cupcakes will last in an Airtight Container for 3 days! If you’re not a massive fan of mint then use less if you like, or more if you want too – its entirely up to you! I just find the amount I used was tiptop perfect! You can also use Milk/Dark/White chocolate chips in the sponge, but I was in the mood for dark! Older Next post: Eton Mess Traybake! 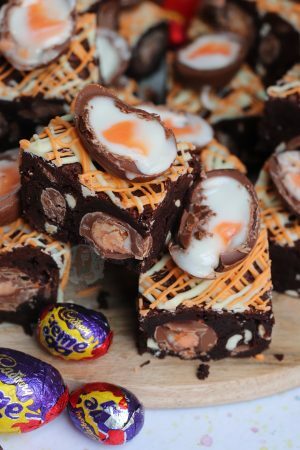 Newer Previous post: Terry’s Chocolate Orange Brownies! Do you think this would work well as a traybake? I’m a bit lazy/untalented when it comes to decorating. Got everything ready to make them this afternoon. Just love your recipes, so easy to follow and sooooo delicious. 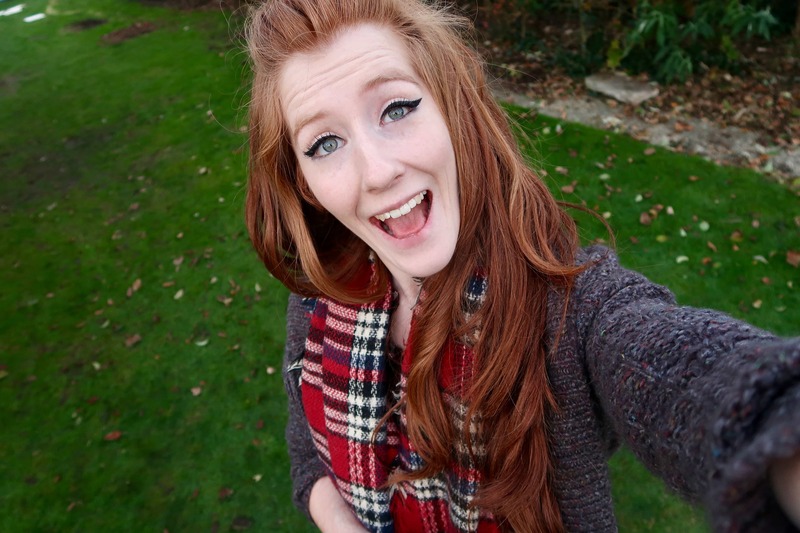 Hiya – I work in the metric system as I am in the UK and I find Cup measurements unreliable. You can find tips to translate the recipe on my helpful tips page, or google it ? I was thinking of doing to mint choc version of millionaires’ shortbread when these popped up – they look amazing (as usual). I really should try this at some point. I’ve made candy cane cakepops for Christmas last year and everyone loved them so I bet these cupcakes will taste amazing as well and they look so pretty! Thank you so much! And please do, mint & chocolate is a marriage made in heaven! 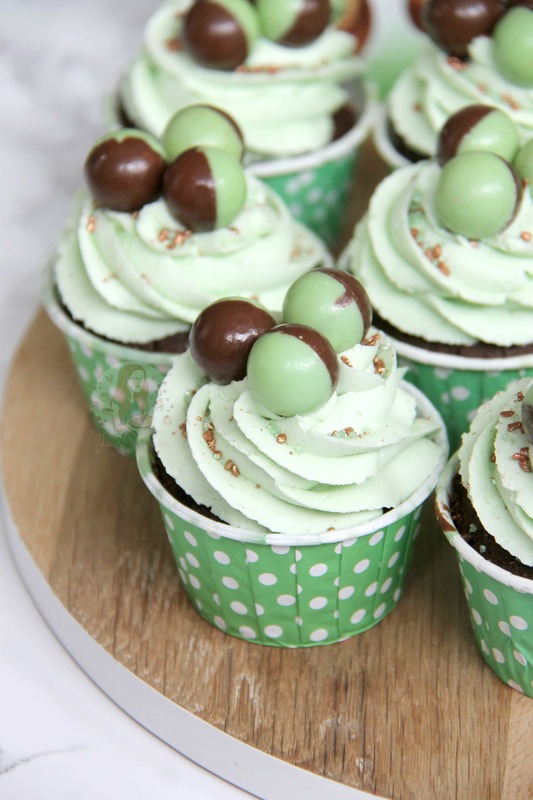 Mint and chocolate is always a good idea! Thank you so much for this recipe! 🙂 I will definitely be trying it out when I can because I agree that this is good anytime of the year. It really is isn’t it, so yummy! And its okay, please do!! OMG I need to make these this weekend. I love mint chocolate chip anything and everything, and these look so delicious! Where do you buy the peppermint essence? I’ll have to check my supermarket and see if they have it. I hope they do! Thanks for sharing this recipe. I’m sure you will be able to find it! 🙂 And its okay! Yum! I love mint chocolate chip everything. Me too! 🙂 thank you! These look so delicious! Loving photos as well.